Fire Sentry Systems is a licensed contractor within the states of Idaho and Oregon. We are factory trained in Gamewell FCI, Edwards EST3/2, Edwards Quick Start, Vesda Smoke Aspiration by Xtralis, Honeywell, Harrington, Potter, and Silent Knight. Fire Sentry technicians are NICET certified in fire alarm systems, our certifications vary from level I through level III and technicians are always encouraged to pursue higher levels of certification. 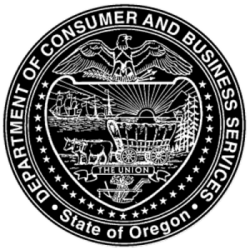 On top of holding NICET certifications they are also licensed limited energy journeymen within the state of Idaho. This proven experience allows us to provide the utmost quality and professionalism to our customers. 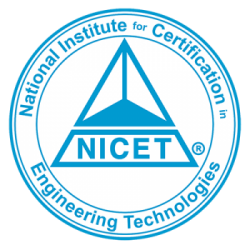 NICET stands for the National Institute for Certification in Engineering Technologies, and it is a division of the National Society of Professional Engineers. The institute is the nations leader in certification for fire alarm technicians and technologists. They assess professional competency to maintain a highly skilled workforce within the industry. Once certification is obtained by NICET, the certification must be maintained through continued education within NICET approved courses. This compels the industry’s workforce to stay up to date in the latest procedures and technologies. Fire alarms and other life safety equipment are some of the most critical systems within a building. And NICET’s certification process provides the solution to verify that a technician working on that equipment is a qualified industry professional. For more information about NICET please feel free to click the link below. ISN or ISNetworld is a centralized database of contractors. All contractors must report information to ISN, which in turn provides this information to hiring clients. Clients can search for contractors that specifically meet their contract requirements, as well as verify that the requirements are maintained throughout the working relationship. ISN is a tool to help companies find contractors that meet their hiring standards such as safety, training, and workers compensation. This saves companies the time and resources it takes to audit each potential contractor, and greatly streamlines the hiring process. To learn more about ISN, follow the link below.